While we’ve only been using social media actively for about a year now, we’ve found it has helped connect us with other industry professionals in order to discuss the trends and challenges being experienced currently within the marketplace. As a result, we’ve been able to engage in more meaningful dialogues and we’ve begun building a community around our social media activities. In April, Kimberly George, Senior Vice President of Corporate Development at Sedgwick, and Mark Walls, Vice President of Communications & Strategic Analysis with Safety National, hosted a webinar discussing how the workers’ compensation community can benefit from social media. Also on the panel of presenters was Jonathan Mast, Director of Social Media for Sedgwick and Shelly Kramer, CEO of V3 Integrated Marketing. The webinar’s purpose was to introduce social media to workers’ compensation professionals, and explain that while it may seem frightening to jump into this arena, the benefits far outweigh any risks involved. While these are only some of the reasons they listed in support of social media, they emphasized the fact that the world we live in today is constantly evolving due to new technologies that permeate all industries. With these changes, coupled with the Internet, how we do business has fundamentally changed. Not just in workers’ compensation, but in all industries, how we connect and build relationships has evolved. Society is more fragmented today and we’re using more channels to get information we want and need, but this also means we, as a society, are more distracted, which isn’t changing anytime soon. Our society now relies on search engines and social networks for research today. While workers’ compensation is slow in adopting new trends, social media can greatly benefit the industry in a number of ways, namely, fostering conversation and dialogues to better improve the care of injured workers while lowering costs. When starting off with your social media activities for your company, you need to focus on building trust. Those following your company seek engagement, want to feel valued, and want to understand what your company stands for. Reviews, word of mouth, transparency, customer service and charitable giving are all great ways to help build that trust your audience is looking for. 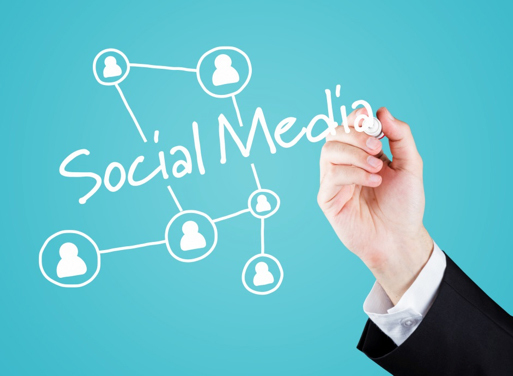 Employees are your most valuable asset when it comes to social media. An empowered workforce, able to interact on social media, impacts sales, customer service, and ROI. When you can empower employees with social media, it gives them pride and makes them feel valued. You don’t have to use all the social media channels out there. Pick the channels where your audience members spend the most time on. Don’t just push promotional information out at your audience. Listening is also key to engagement. Consistency is key. You can’t post something on LinkedIn, walk away for three months, and expect to have magically developed a large following. Posting regular content, content that your audience is searching for, is highly recommended. If you’re just shouting at your audience through a megaphone, they won’t stick around for long. One of the ending points reiterated was that when on social platforms, workers’ compensation professionals should act like they do in real life. In other words, if you want followers, you need to earn them by acting like a real human being. Harbor has developed social media activities in order to heighten our visibility in the workers’ compensation space while demonstrating our expertise in various niche sectors in California such as Medical Provider Networks (MPNs), provider benchmarking and care coordination. Following the tips and recommendations outlined in the webinar we watched, we will continue to build our relationships and create a community of professionals open to dialoguing in order to provide the best care possible to injured workers.